• Tender No RFI-PQ/201829257197314. Request for concepts for a solar photovoltaic independent power project (IPP) on a landfill site. Documents can be obtained from the Electricity and Water Authority, Central Stores, Room 21-4, Manama, tel: 17995657, fax: 17701904, email: hanik.mohammed@ewa.bh, website: www.ewa.bh. CD April 11. • Tender No RFP20183926197008. Lighting system for Shaikh Isa Bin Salman Bridge – Job No 17 030. Bid bond is BD1,000. Documents can be obtained from the Ministry of Works, Municipalities Affairs and Urban Planning, Special Project Office, tel: 17545315, by payment of BD100. CD April 18. • Request for qualification for the design, construction, operation, maintenance and dismantling of the Kuwait pavilion at Dubai Expo 2020. Documents can be obtained from Ministry of Information, Accounts and Purchases Department, Supplies Section, Sixth Floor, Information Complex, Soor Street, Kuwait City, tel: 22327119/22327116, email: expo2020dubai@mredi.gov.kw. CD April 15. • Tender No 28/2018. Phase Two of 11 kV and 0.415 kV reinforcement work in various locations in Ibri, Al Dhahirah Governorate. 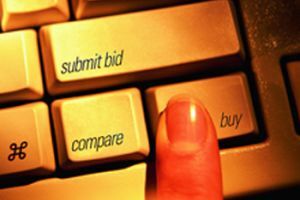 Bid bond is one per cent of bid value. Documents can be obtained from Majan Electricity Company, 1033 Way, Muscat, tel: 24573300, by payment of RO36. CD April 10. • Tender No T-003-18. Framework contract for fibre-to-the-home (FTTH) network construction – major projects. Documents can be obtained by payment of RO1,200. CD April 17. • Tender No T-004-18. Framework contract for FTTH network construction – minor projects. Documents can be obtained by payment of RO800. CD April 17. • Tender No 29/2018. Landscaping and maintenance of irrigation system for Ibri Hospital Garden in Al Dhahira Governorate. • Tender No 33/2018. Maintenance and upgrading of a sewage treatment plant at Ibra Hospital in North Al Sharqiya Governorate. • Tender No TAAWC/ESD/28/03/15. Construction of Woqod fuel station at Umm Garn. • Tender No TAAWC/ESD/29/03/18. Construction of Woqod fuel station at Al Maamoura. • Tender No TAAWC/ESD/30/03/18. Construction of Woqod fuel station at new Al Rayyan 2, Al Wajba area. • Tender No 2200003033. Construction of a carrier line from the pumping station at Dunn wells to central Samakh. Documents can be obtained from the Ministry of Environment, Water and Agriculture, Riyadh, tel: 11-2038888, fax: 11-2052749, by payment of SR5,000. CD April 30. • Tender No 113. Extension of Riyadh Interchange on Dammam Expressway with the Sahaba Road in Riyadh. Documents can be obtained from the Ministry of Transport, Riyadh, tel: 11-4043000, by payment of SR25,000. CD April 15. • Tender No 1439/15. Developing 28 isolation rooms for negative room pressure in Al Jouf Hospital. Documents can be obtained from the General Directorate of Health Affairs in Jouf, tel: 11-2125555, by payment of SR5,000. CD April 17. • Tender No 4/00/00/0016/704/14/19. Construction of a cultural centre, Phase Two. Documents can be obtained from the Municipality of Ghamed Al Zanad, Ghamed Al Zanad, tel: 17-7270055, fax: 17-7251590, by payment of SR3,000. CD April 16. • Tender No 7500-16-62-007-302-18-04-1. Construction of municipal buildings and public facilities. Documents can be obtained from Tathleeth Municipality Headquarters, Project Department, Asir Region Secretariat, tel: 2246282/22406667, by payment of SR1,500. CD April 14. • Tender No 3111319/400270000/705/013/019. Construction of municipal buildings and public facilities (third contract). Documents can be obtained from the Municipality of Ibn Shuraim village, Ibn Shuraim, tel: 14-6624111 /6625680, by payment of SR500. CD May 12. • Tender No 2. Construction and development of roads in Talaat Timyat Municipality. Documents can be obtained from the Municipality of Northern Borders Building, Purchasing Department, PO Box 783, Arar, tel: 46621264, fax: 46611500, by payment of SR1,500. CD April 10. • Tender No 154. Establishment of three health centres in the Northern Border area. Documents can be obtained from the Northern Borders Health Affairs, Arar, tel: 14-6623222, by payment of SR2,000. CD April 14. • Tender No 019/007/718/400200000. Development and rehabilitation of roads, streets and lighting. Documents can be obtained from Sahel Municipality, Asir Region Secretariat, tel: 17-2400204, fax: 17-2400204, by payment of SR3,000. CD April 17. • Tender No 406109901/001/007/19. Development of tourist and coastal regions and development of neighbourhood gardens and residential schemes, Phase One. Documents can be obtained from Asir Municipality, PO Box: 941, Abha, tel: 72240666, fax: 72250336, by payment of SR2,000. CD April 15. • Tender No 4/00/17/7500/000/001/19. Construction of gardens and yards in Bani Saad, Phase Two. Documents can be obtained from the Municipality of Bani Saad, tel: 12-7600900, by payment of SR1,000. CD April 23. • Tender No 52. Development of the King Khalid Cultural Centre. Documents can be obtained from Qassim Municipality, PO Box 1119, Postal Code 51431, Qassim, tel: 163265000, email: info@Qassim.gov.sa, website: www.qassim.gov.sa, by payment of SR4,000. CD May 27. • Tender No 390063/1439. Phase Three of sewerage system in Dahyet King Fahd. Documents can be obtained from the Eastern Region Municipality, PO Box 2870, Postal Code 31146, tel: 8341000, by payment of SR12,000. CD April 15. • Tender No 39/14. Construction of Qasr Al Ashrawat girls’ elementary, middle and high school in Hail. Documents can be obtained from General Directorate of Education in Hail, tel: 16-5323486, by payment of SR500. CD April 16. • Tender No 1439/001. Construction of a warehouse, a workshop, fences and guards room in Bish. Documents can be obtained from Operation and Maintenance Directorate in Jazan, tel: 11-4789000, by payment of SR2,000. CD April 17. • Tender No 2018-38. Construction of a building for special security forces, Third Unit in Qerat, Fujairah. Documents can be obtained from the Ministry of Infrastructure Development, Dubai, tel: 04-2610001, email: info@moid.gov.ae, by payment of Dh4,000. CD April 18. • Tender No DMS 146291. Construction of a mixed-use complex at Dragon City. Documents can be obtained from Ibn Batutta mall (beside Enoc Petrol Station), Dubai, tel: 04-3759213/3633772, email: DMS@nakheel.com, by payment of Dh36,750. CD May 9.